Alex Rins says he his "not afraid" that the Suzuki MotoGP team will repeat its infamous 2017 engine specification error, as it prepares to make a decision on its 2019 unit. Suzuki's 2017 campaign was derailed by a bad engine decision, but the team bounced back for 2018, collecting eight podiums as it regained its technical concessions - allowing it to upgrade its engine mid-season. However, the Hamamatsu marque's success means it has lost that privilege for 2019, and the spec it chooses to run for the season opener in Qatar is the one it will have to run all year. 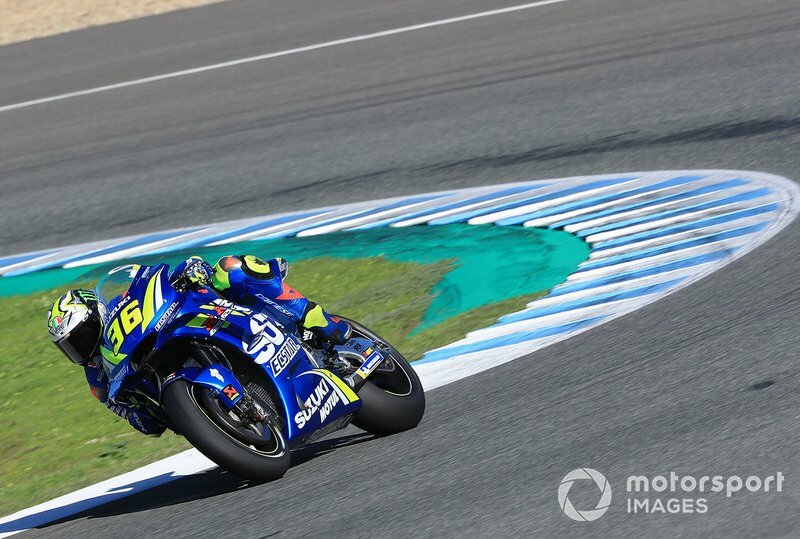 Suzuki trialled a new engine and chassis during the Valencia and Jerez post-season tests, but has yet to decide on a final spec for next season. However Rins isn't worried that a wrong decision could lead Suzuki back to its 2017 struggles, because he had good feelings about both types of engine he sampled. "I'm not afraid, because with both engines and both chassis I've been fast," said Rins. "Now it's up to the bosses and I leave everything in the hands of the engineers. "For sure we will choose the best option. We did a lot of comparisons, they have a lot of information. I am happy with both, the feeling is nice with both engines. They will need to choose one, the best one. "The positive point is that the new engine has more power, more potential. The negative points, I don't want to say. "The important thing is Suzuki works very hard, in Malaysia we are waiting new things, we will see what happens. "These two days were very positive days because we try everything, we try new frames, also new engine. We did a lot of comparisons between the 2019 and 2018 engine. 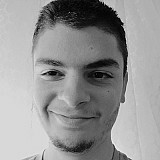 Was very positive." Rins reckons he is the strongest he's ever been during the pre-season, and feels "ready to win" for the first time in MotoGP after finishing second three times in 2018. "Finally we are strong on race pace," he said. "Yesterday [Wednesday] if you saw the laptimes it was a little bit down more the qualifying [pace], but today with everything clear we've been always on the top. "I am nine tenths [down only] because they put new tyres, but I am quite happy. "We want to try to win, we need to be conscious that we have a really good bike and I am ready to win." 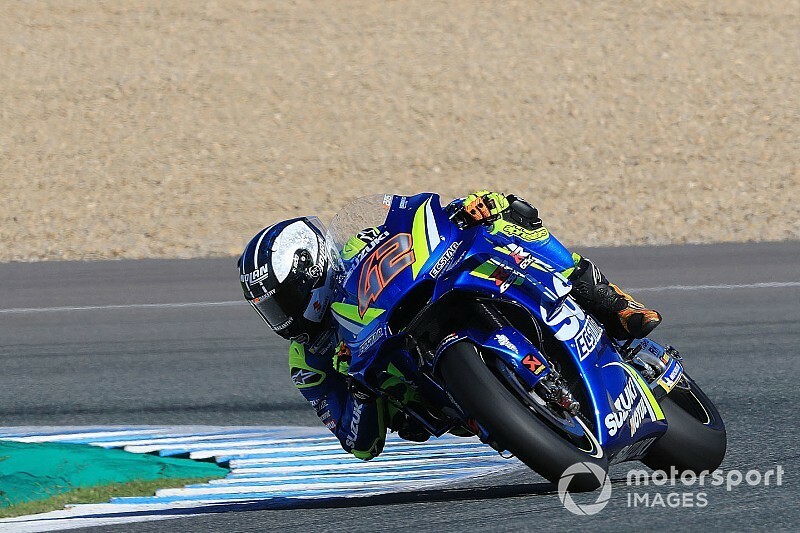 New Suzuki signing Joan Mir enjoyed a strong start to his MotoGP career in the Valencia and Jerez tests, but Rins was not surprised to see him adapt quickly. "I was already expecting this result," said Rins. "I know from the beginning that he is very talented. That's why Suzuki hired him. "He's going very fast and needs to gain more experience." Struggling Tech 3 KTMs "losing something big"